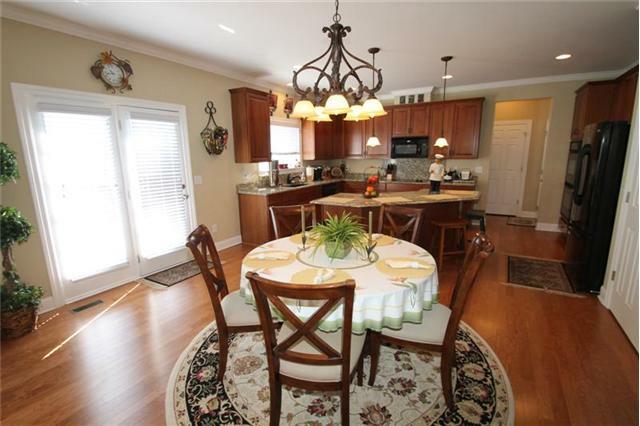 This listing in McKay’s Mill offers many upgrades and is like new. 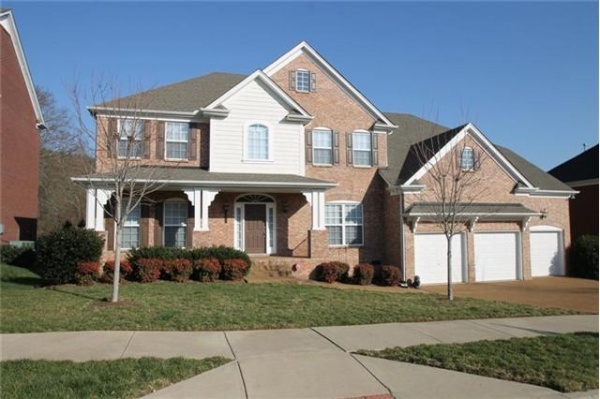 Located at 1222 Broadmoor Circle in Franklin, this spacious brick home hosts many things an active family would want. 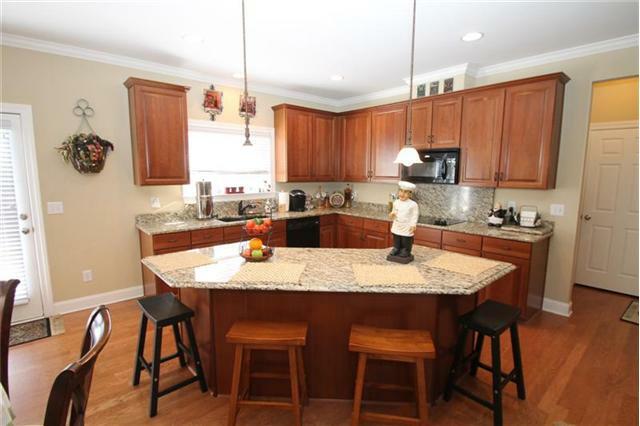 Granite and hardwoods make mom happy while dad will love the three-car garage. The home has four bedrooms and three-and-a-half baths, with the popular master down Barclay floorplan. Priced at $499,900, the 4,225-square-foot home includes multiple bonus rooms. A media room will make game days fun for the whole family and will make for a great in-home movie night. The backyard backs up to a wooded common area keeping it safe for the kids but private for the whole family. When you enter the spacious foyer, the hardwood floors provide a feeling of warmth throughout your view of the open floor plan. 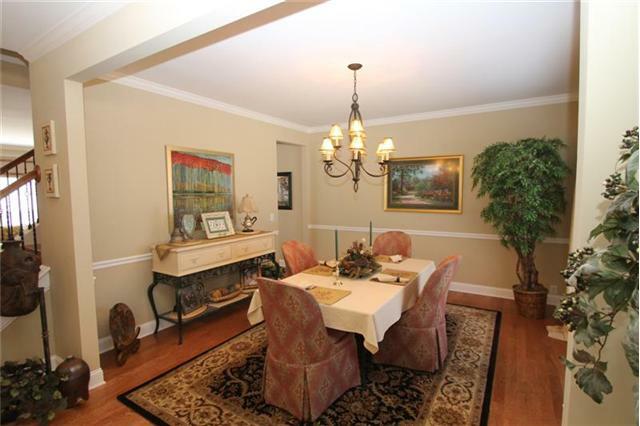 You have of the formal dining room immediately on the right featuring chair and crown molding. 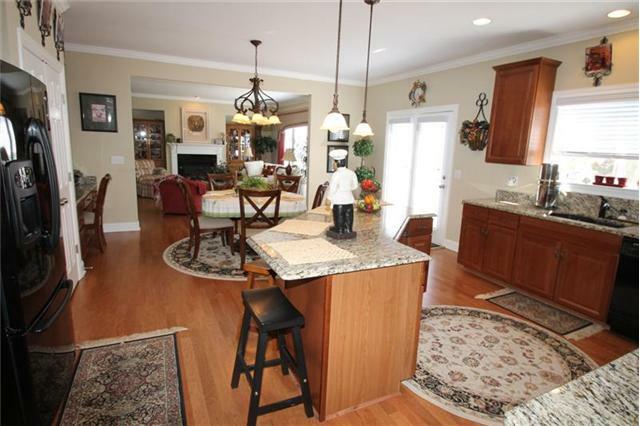 The large kitchen is light and airy with a butterfly island makes room for four at the counter top. The oversized island also provides extra storage and good counter space for meal preparation and entertaining. Two pantries, an eat-in area and a planning desk computer area make life more functional in this oversized kitchen. 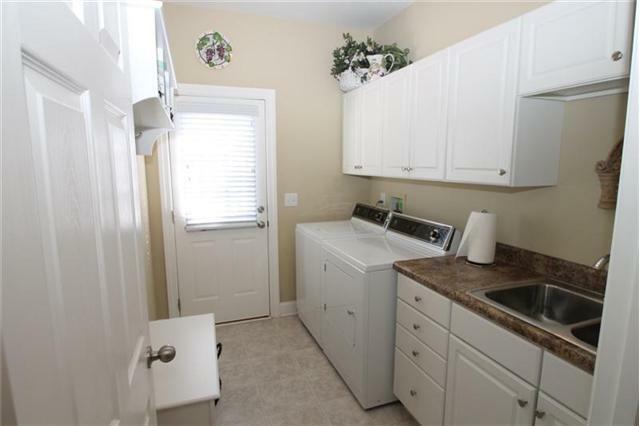 Off the kitchen is a laundry room that features a sink and built-in cabinets. There is also access to the rear deck for those times when the kids come home messy. 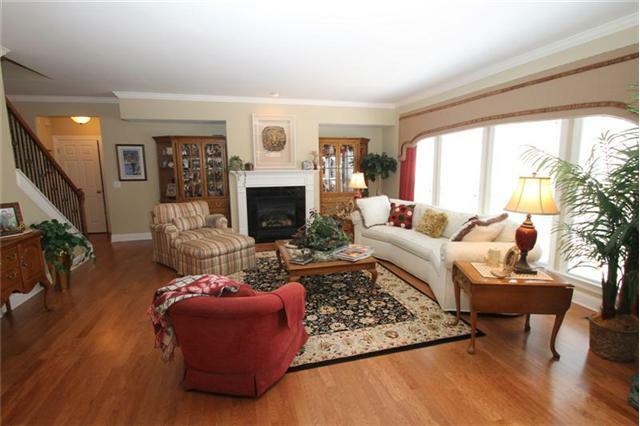 The kitchen opens up to the family room which has large wall of windows providing the room with natural light. There is a fireplace with a wood mantle and two recessed areas for shelving or armoires framing the mantle. 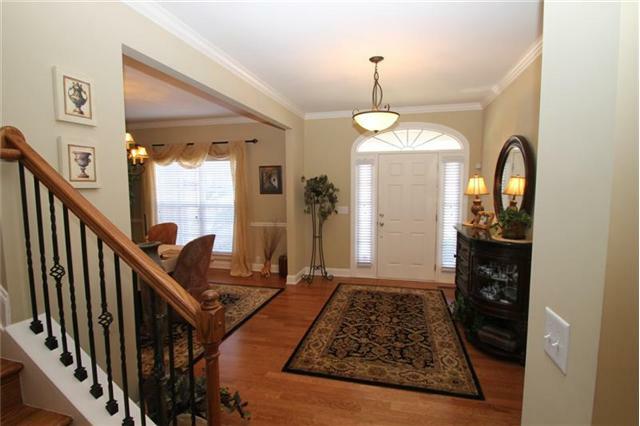 The stairs between the foyer and family room are hardwood and have lovely iron accents. 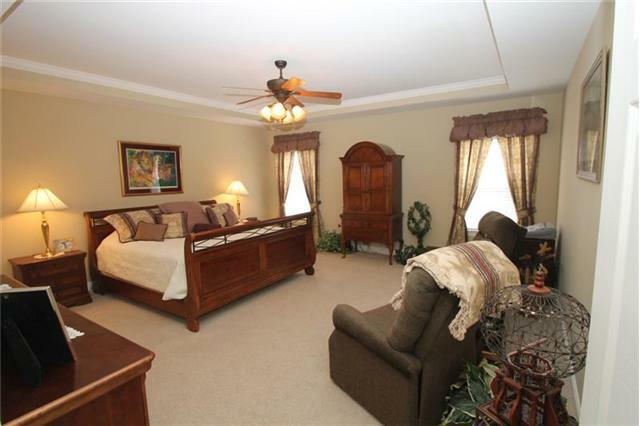 Enjoy the privacy of the huge master suite located on the main level with plenty of room for a king bed and a sitting area. 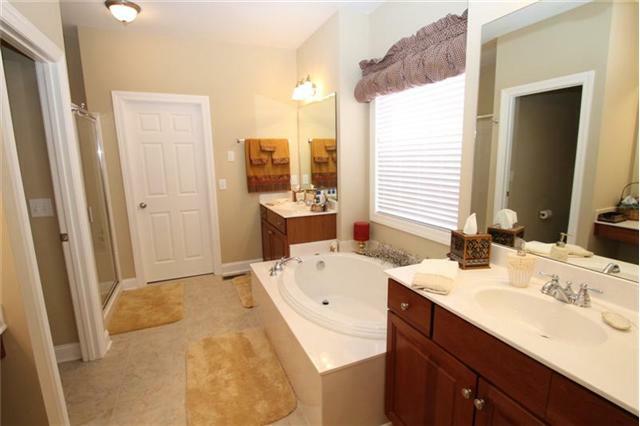 Relax in the luxurious master bath which has double vanities and a sizable marble shower with seat. The enormous walk-in closet is such a treat as well as the vanity area with seated knee space. 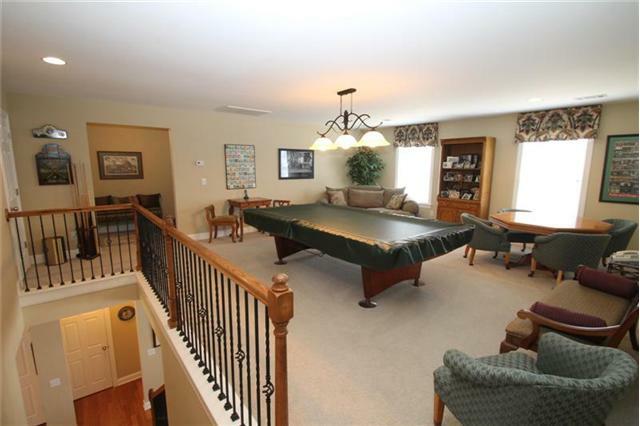 The centrally located bonus room upstairs has room for multiple entertaining setups. You can easily fit a card table, pool table and several seating areas. The second bonus room can serve as an exercise room. There are two large walk-in storage areas off this room. Another added feature to this home is the media room upstairs with 7.1 Surround Sound prewire. There are no windows here, so it can make a great custom ‘man cave.’ Speaking of men, the fully-insulated oversized three-car garage with insulated doors also features storage and a painted floor.